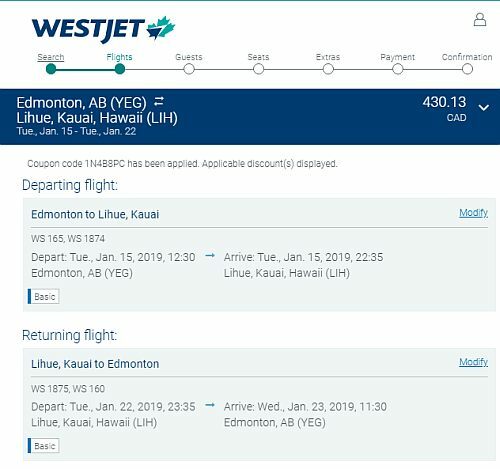 WestJet has dropped the price of their flights from Edmonton to Maui, Kauai, and Kona Hawaii down to $430 CAD roundtrip. There are a few dates with non-stop flights from Edmonton to Maui on the way there, with 1 stop on the way home. ^^ some of the Edmonton-Maui flights are non-stop on the way there. Try Tuesday departure dates. WestJet: Coupon code 1N4B8PC should be applied automatically. 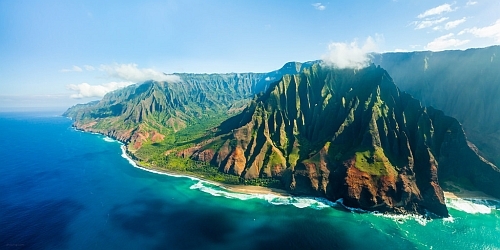 edmonton, yeg, flight deals, united states, air canada, honolulu, maui, hnl, ogg, hawaii, north america, oahu, lihue, kauai, lih, kona, koa and kahului.